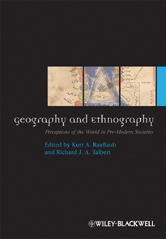 Editors: Raaflaub, Kurt A. and Talbert, Richard J. A. This fascinating volume brings together leading specialists, who have analyzed the thoughts and records documenting the worldviews of a wide range of pre-modern societies.